A little while ago a jailbreak was released for iOS 9.3.5 32-bit devices which could be used in order to downgrade some devices (e.g. the iPhone 4s) to iOS 8.4.1 without the need for SHSH blobs. The main reason for doing this is because iOS 9.3.5 was extremely slow on older devices, and downgrading to an older version speeds the device up a lot. The only problem with this is that there was no way to jailbreak iOS 8.4.1 once you downgraded. However, the brand new #Etason jailbreak from @tihmstar allows any 32-bit iOS 8.4.1 device to be jailbroken completely untethered! As stated before, this jailbreak is only able to be used with 32-bit devices. This means that anything newer than the iPhone 5/5c, the iPad 4, or the iPod touch 5 won’t be able to be jailbroken using this method (see list below for compatible devices). This is also an untethered jailbreak, meaning you will not need to run the #Etason JB app on your device every time your device reboot! This is compatible with iOS 8.4.1 on supported devices. If you do not have a paid Apple developer account, the Etason JB app will start to crash one week after being installed. This is because the certificate for it will have expired. To fix this, all you need to do is reinstall the Etason JB app using the instructions below. 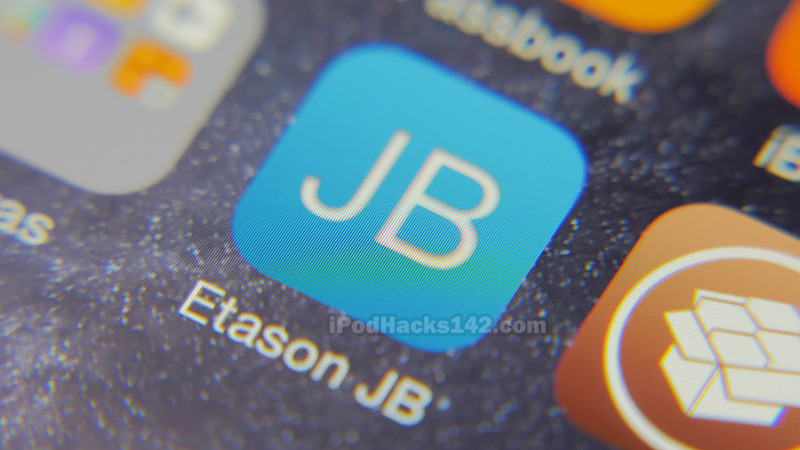 Download the #EtasonJB jailbreak app from the link above and save it somewhere. Then download the latest version of Cydia Impactor (a program made by saurik) for your operating system from the links above. Version 0.9.35 minimum is required. Extract it and open the ‘Impactor’ file. Once it opens, make sure your iOS device is plugged into your computer, and that your passcode, Touch ID lock and Find my iPhone is turned off during the jailbreak process. Select your device in the drop-down menu. Find the #EtasonJB app IPA file you downloaded earlier and drag it into the Cydia Impactor tool. If a warning appears, click ‘OK’. You will be asked to enter your Apple ID. This is used only to create a certificate for the #EtasonJB app to be installed and will not be visible to anything other than Apple’s servers. Once you have entered your Apple ID and password, click ‘OK’. The #EtasonJB app should now be installed on your device. Open the #EtasonJB app. Tap on the ‘Etason JB!‘ button and the jailbreak should begin. The #EtasonJB app should now be installing Cydia. Do NOT do anything else with the device while this is happening. Once Cydia is installed your device should respring. Cydia should now be on your home screen! Open the Cydia app and it should open without any problems. As this is an Untethered jailbreak, you will not need to re-run the jailbreak applications every time you reboot your device, meaning you shouldn’t need the app once the jailbreak has completed! I must say that this interview is very informative! I am happy to find your blog! Thank you!